It took a mere 15 seconds to catch our first silver salmon out of Valdez and the bite didn’t slow down after. It was reminiscent of several years ago when Tim Bouchard of Valdez Outfitters used our Fire Brine herring to nab easy limits in a few short hours while filming Pautzke Outdoors. That was August of 2015 and this summer is fishing about the same. There’s still opportunity to catch silvers here for the next few weeks. Valdez is expecting a busy Labor Day weekend. Fortunately, there’s ample silvers awaiting. Silvers are back in a big way in the Valdez Arm and are giving anglers from Anchorage and Fairbanks a reason to make the drive late this season. As we all know this wasn’t the case last year when the run seemed nearly extinct. Fortunately, we are back on track this season. Silvers are abundant. Those will good bait are finding success daily. In fact, shore anglers are starting to get in on the action, too. Silvers are scattered from the Port of Valdez to the end of the Valdez Arm. Most anglers have focused on this area rather than out in Prince William Sound. That’s not to say there aren’t silvers still in the sound. Meanwhile, as time goes on the silvers will continue to migrate closer to Valdez so there’s no reason to venture all the way to the sound. In early and mid September most of the silvers will be in the general port area. The silvers are running roughly 10 pounds. The largest to date in the Valdez Derby is a tad bigger than 15 pounds. Most years the derby winner will be between 17 and 18 pounds. 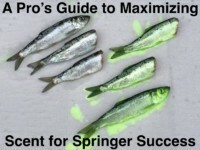 Our action came exclusively on two baits: Chartreuse and Blue Fire Brine herring. The silvers hit the bait so often we nearly ran out of cut bait. 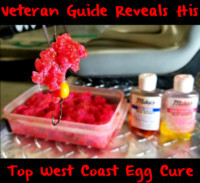 We probably caught about 75 percent of our fish on blue, but that can change daily. The day prior chartreuse was the hot color. It’s always best to come with herring brined in natural, chartreuse and blue as you never know what the color of the day will be. Put them all out there and let the fish decide. Most of the fish have been caught on incoming or outgoing tides. Slack tide has been very slow. Typically, slack tide is always slow, but it’s been super slow the last few weeks. 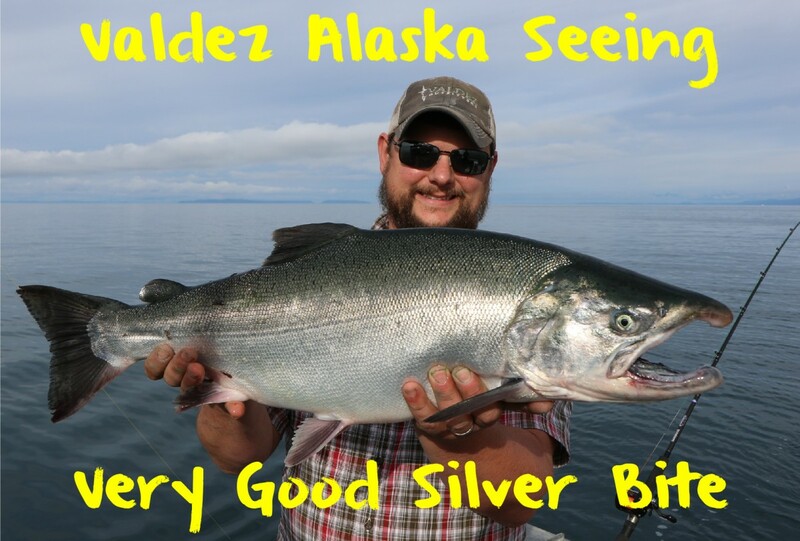 Editor’s Note: For more information on guided silver trips with Valdez Outfitters please visit https://www.facebook.com/ValdezOutfitters or http://valdezoutfitters.com. Anglers may keep six silvers per day. There is no size limit.